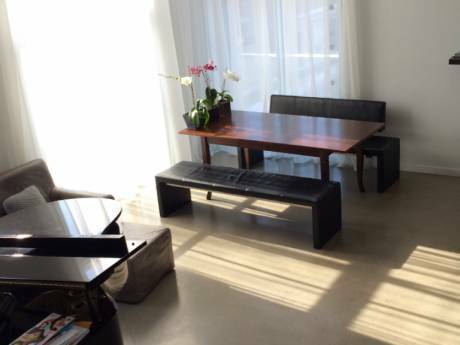 Beautiful 3 floor townhouse on the island of Montreal, Quebec, Canada. Enjoy our nice backyard with flowers. 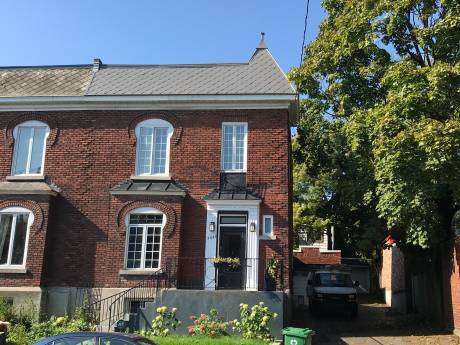 Our house is located in one of the best area of Montreal where you can enjoy a green environment combined with the Fleury street full of restaurants, cofee shop, stores ... Our house has a new wall unit air conditionning system, clean and well maintained. Internet access in our private office available. Private parking for the car available for you. 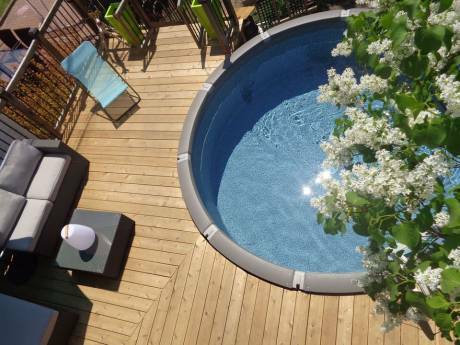 Located in a residential area wright on the island of Montreal; you will enjoy the green Ahuntsic park at the back of our house near Fleury street and near the Sauve metro station by walking distance. Go visit the olympic stadium, the jardin botanique, take our car 30 minutes north and visit the laurentian lacs and montains. Free Internet access, pharmacy, restaurants, bakery, stores by walking distance on the beautiful Fleury street. My name is Marc, 41 years old born here in Montreal living with my wife Libertad (born in Mexico). Our son is actually studying in Amsterdam for his master in international and European law. Cross the street and walk in the green Ahuntsic park. Our house is located in one of the best area of Montreal where you can enjoy a green environment combined with the Fleury street full of restaurants, cofee shop, stores ... Our house is located in a residencial area of the city of Montreal across Fleury street very close to Sauve metro station. Pharmacies, stores, restaurants, bakery... you will find nearby.